Newspaper Theme is now compliant with the Envato current WordPress Standards – WordPress Requirements. This update is different as it makes changes to the theme’s code structure. It doesn’t influence the functionality and features. You need to Manually Activate the tagDiv Composer page builder after Updating to Newspaper Theme v. 9.7! misc: Exclude post or pages IDs for Loop shortcode. Usefull when you want to exlude specific posts or pages on any template, for example to hide a page on the search template. It's great! 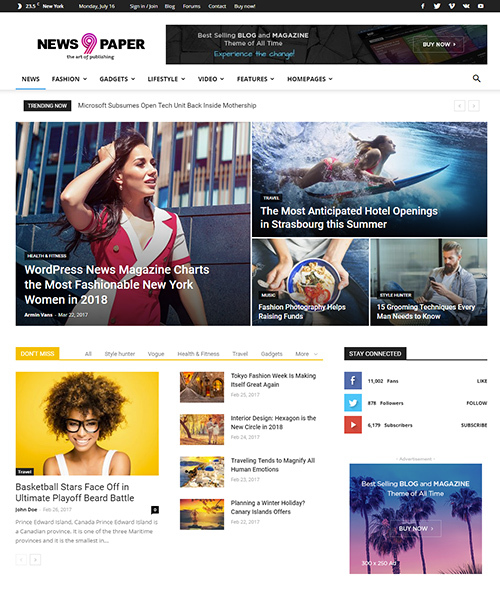 We were looking for something super-customizable, solid, magazine-like theme, and Newspaper theme had all the features we needed. I found the theme to be modern, easy to use and highly customisable. The most professional template with excellent support and great features. I appreciate the fast loading, clean design, and responsiveness. Thank you for that!